If you still have Janus (JNS) on c-cex, remember to send them to a Nxt account you control. Your Janus profit share payment will follow your Janus tokens – if your tokens are on a centralized exchange on the 1st of May when the Janus dividend transaction is submitted, the exchange will receive your dividend! Just popping in before I lose internet. I was doing some last minute security and pc maintenance and found an old litecoin wallet from several years ago. For transparency reasons I converted it to NXT and will just add the funds to your dividends. I’m doing this because two primary reasons. 1. It’s my funds from a time I just dabbled in trading and mine to do as I feel best. 2. I really am happy and proud of this community. That is all, have a great weekend everyone. The 2nd distribution of Janus (JNS) tokens sold out faster than expected. We will reduce total Janus in existence to 25,201,489 JNS. 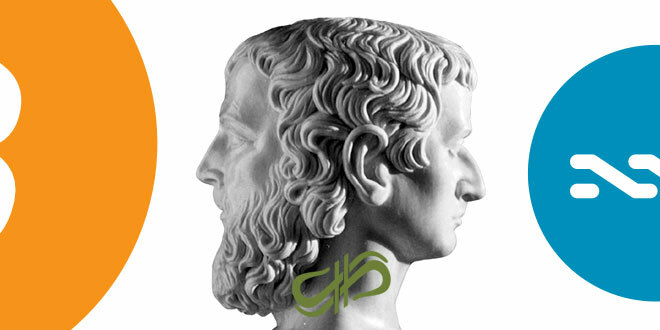 On April 20, the 2nd and final distribution of Janus (JNS) sold out on the Nxt AE and c-cex.com. 72,067,503 Janus tokens were instantly burned. The total of Janus tokens in existence is thereby reduced to only 25,201,489. This leaves 16,201,489 in circulation, assuming none of the JanusXT holders leave the project. On top of this, the final JanusXT spot has been sold. The Janus team is preparing for an early May launch of their ETC community site. We will soon be launching a community-centric use-case for Ethereum Classic. We are very close to finishing, however developers need a bit more time to ensure Ethereum Classic wallet security is on par with our standards, as well as, testing multiple areas of the site and correcting issues we are finding. Rest assured, our team is working 70-80+ hours per week to ensure a positive impact for the ETC community and Janus community on our project. There will be a launch bonus for Janus holders, as well as a welcome bonus for ETC community members: 2 ETC per Janus slack user / Ethereum Classic community member. 200 ETC per community for trying the new service out. Bjorn and Luis will give instructions how to claim to cut down on duplicates. A google form registration will be needed. Bonus applies to the first 100 who sign up. Must be Janus/NXT slack current user. Ethereum classic slack will receive the same so it’s a great time to meet new people talk crypto, find common interests, and in general build the growing overall Janus community. Also to have fun..! 10% of the ETC site’s profit will be paid to Janus (JNS) holders, 10% to JanusXT holders, 10% to the ETC developers in turn for their help with pushing the site and helping Janus, and 70% goes to the Janus Team. Some in the community have voiced that they’d like more centralized exchanges to add JNS. The following exchanges have been contacted by the Janus Team. “Most exchanges just need to know that people support the project, they are in the business of volume and need an indication of profit. So, this is a way for the community to help: take a moment and select the tweets you want to spread”, writes Bjorn. Hello, @BittrexExchange the Janus token community would love if you listed $JNS to ensure great trading and API services! The brand new stocks.exchange has also listed Janus and states that you will receive dividends here without assets withdrawal. If volume picks up, this may turn into a fine option for traders, just remember that it’s a centralized exchange and never as safe for storing your assets as your local Nxt Client. The Q&A with Janus’s new team member will have a date set shortly after the ETC business launch. I promise you don’t want to miss the big reveal on the man that will become much of the face for our large mainstream sites and his amazing global contact outreach. The NXT Foundation will help host [the Q&A] along with the rest of our team. Social Trading is our first bridge from crypto to mainstream. Forex/crypto trading on the same site. That’s all for now, folks. Sit back, wait for your NXT balance to grow on the 1st of May, and check the dividend tx details in the account ledger. The dividend transaction ID will also be posted here and on the forums. Do not miss a Janus update, join their Slack channel, and follow their social media channels. More Nxt assets can be explored on nxter.org/assethub.